In addition to tracking legislation, analyzing cases and previewing upcoming presentations, we want to share the happenings that impact the lives of state and local tax practitioners. The SALT Society will allow us to not only celebrate your pets, but also to celebrate you! Please share with us pictures from your personal events such as a vacation, a favorite hobby, a new baby, wedding news or a house move. We plan to share our important happenings as well. Kicking things off are photos of Jeff Friedman‘s summer trip to Cuba with his daughter and Maria Todorova’s adventures with her family in Alaska. Eversheds Sutherland SALT partner Jeff Friedman and his daughter in Cuba. 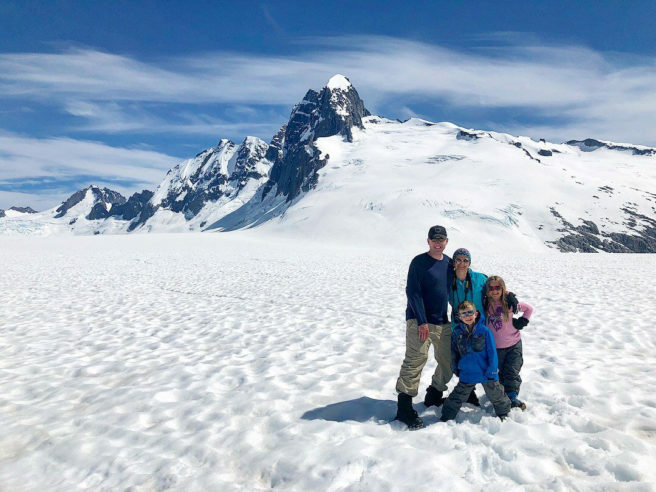 Eversheds Sutherland SALT partner Maria Todorova adventures with her family in Alaska. Let us know how you spent your summer vacation!